The initial image that impressed on my mind when I heard that we’re having dinner at a restaurant named Waway’s at Legazpi City is that of a tussled, long-haired Robin Padilla of Philippine Cinema wearing his signature Waway fisherman’s hat serving unlimited dishes of laings and pinangats. Well, I got those Bicolano specialties right, but no gangly, strutting Robin Padilla in sight. 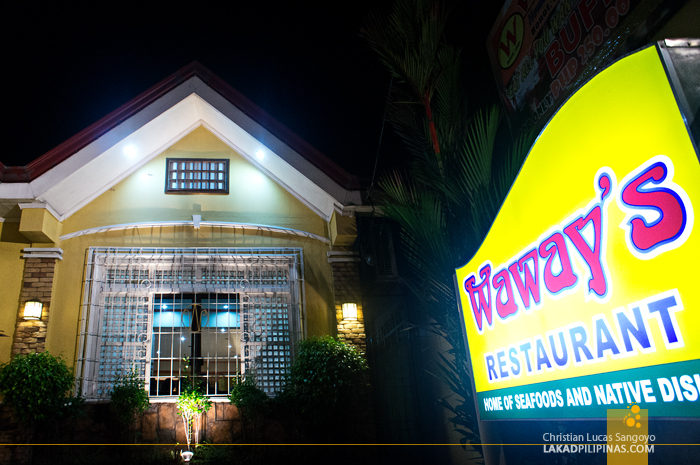 Waway’s Restaurant, which is located on one of Legazpi’s main thoroughfares, is named not after the character played by the bad boy of Philippine Cinema, but after the restaurant owner; Aling Laura Cristobal. How Laura translated to a nickname of Waway is anybody’s guess. 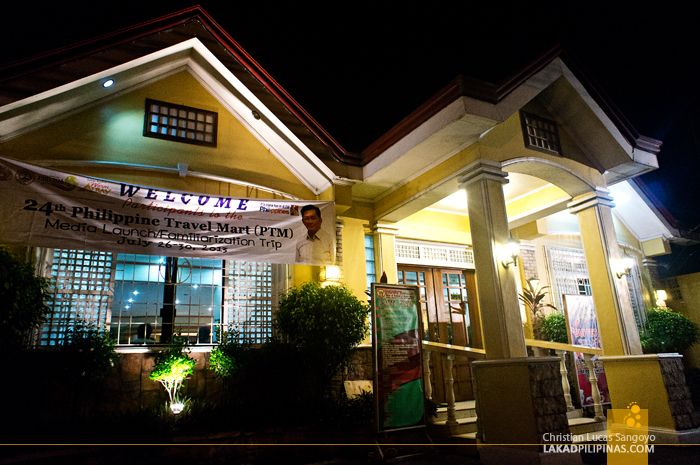 Housed in a simple and almost residential looking one-storey building, this Bicolano restaurant has been serving the locals of Albay for almost fifty years now. But it has not always been like this, Waway’s beginnings take back to a small nipa hut located on another part of the city. 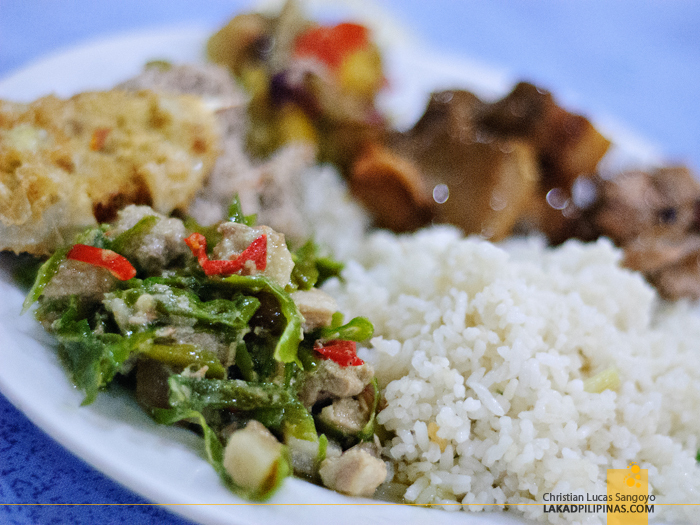 Some decades later, and it’s now the favorite dining destination in the area, especially for those looking for local dishes cooked in gata like laing and Bicol Express. Waway’s interiors are nothing to write home about, with simple chairs and round tables filling its main dining hall. 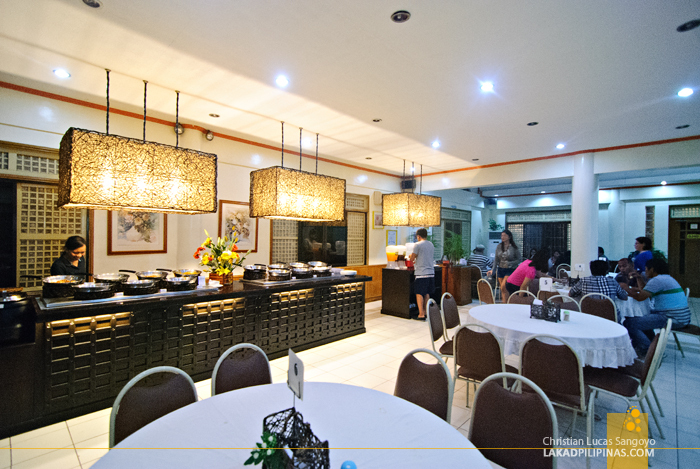 But what separate this restaurant from the others in the Legazpi area are the sumptuous dishes that line their buffet table. 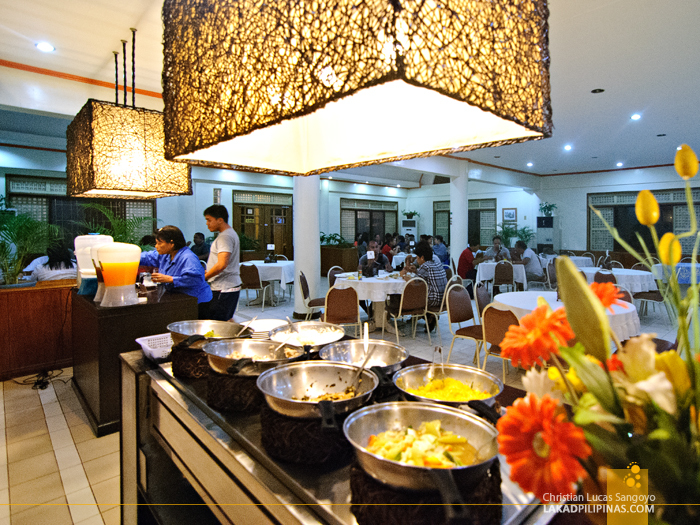 That’s right, Bicolano dishes buffet baby! Members of PHILTOA along with the media group wasted no time in lining up and spooning local fares into empty plates. They have everything hrom kandinggas (bopis to us Manileños), crab omelets, laings, pinangats, ginataang malunggay; to my beloved, Bicol Express. 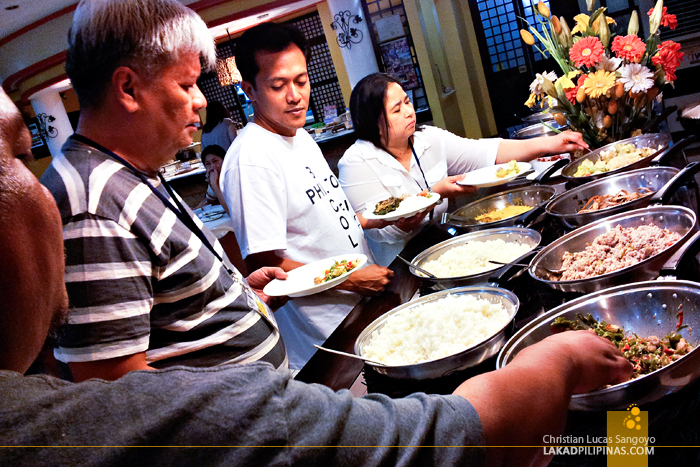 They also have Filipino favorites like kare-kare, litson kawali, nilasing na hipon or crispy shrimps, chopseuy among other things. But the ones I kept going back to the buffet table for were the litson kawali which can almost rival the best one I’ve tasted in UP Diliman’s Casaa, the nilasing na hipon which reminded me of the crispy shrimps I had at Pangasinan’s legendary Matutina Restaurant and of course the extra super spicy Bicol Express, which no eatery in Manila can replicate. Waway’s Restaurant definitely lives up to the legend that has been incorporated to its humble name. 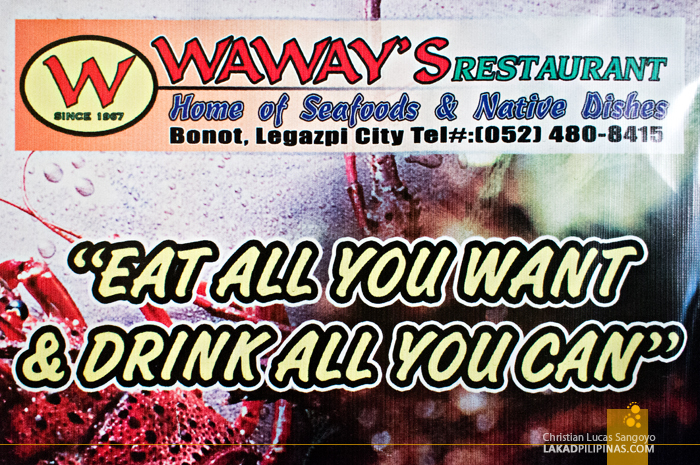 When in Legazpi City, do yourself a favor and head to Waway’s Restaurant for a taste of their buffet, even if only once. But prepare yourself; I’m pretty sure that one time would double back to a few more visits. And there’s absolutely no need to prep your wallet as their dishes are quite affordable; what you actually need to put in order are your tummies. You’ll be needing all the space you’ve got. GPS Coordinates: +13° 9' 23.85", +123° 45' 3.74"
So ashamed that I never tried this place for the rest of my stay there. Takot kasi ako baka mahal, but well definitely I'll give it a shot pag uwi ko. Sakto nasa Bicol ako next month. thanks for recommending this place lucas. hihihi! namiss ko ang blog mo. pag filipino dishes bet ko , 250 is so so mura na kaya! at pag sa probinsya makaka assure ka na fresh ang ihahain nila ..
Wow.,tamang tama magbabakasyon kami ngayon buwan sa bikol ..thank u for recommending this! Do they accept credit card?